Extra Life is a Children’s Miracle Network Hospitals fundraising program that empowers the gaming community to make a difference in the lives of local sick and injured kids. Participants fundraise year-round and during a 24-hour gaming marathon each fall. Since 2008, Extra Life has raised more than $14 million for the 170 children’s hospitals that Children’s Miracle Network supports. For Rady Children’s, it has raised more than $105,000. As a result of the success of Extra Life in San Diego, the city qualified this year to become a “Guild” city. Guilds are groups of about 20 of the most passionate gamers who meet monthly to strategize on how to grow the Extra Life movement – and play some games, too! 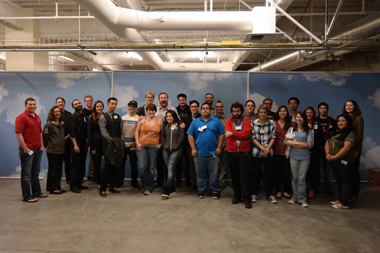 In San Diego, guild gamers attended multiple events including Comic-Con to spread awareness of Extra Life and encourage other gamers to register. Participants can play from the comfort of their own homes and choose any game they like. Getting involved is as easy as signing up online, asking friends and family to donate and pledging to play games for 24 hours in support of Rady Children’s. To learn more about how you can play games to help kids, visit extra-life.org.